Omaha Holdem poker is becoming increasingly popular amongst online poker gaming fans. If you’ve never heard of the game, then you’re in for a treat as this is currently the only poker game to even come close to rivalling the hugely popular king of poker, Texas Holdem. Yet, it is usually through playing Texas Holdem that many players arrive at Omaha Holdem Online. Omaha Holdem and Texas Holdem; The Same but Different! Omaha Holdem poker is, in its basic terms, a community poker game. However, for those who know their stuff, this is a poker game with a difference. Derived from Texas Holdem, though the two may seem similar, there are several differences that make Omaha Holdem all that more difficult to fully master upon a first few attempts. Many players of Texas Holdem often make the mistake of assuming their gaming skill set will transfer immediately over to Omaha Holdem. Initially, Omaha Holdem poker takes a bit of time to become familiar with its unique strategies and techniques. 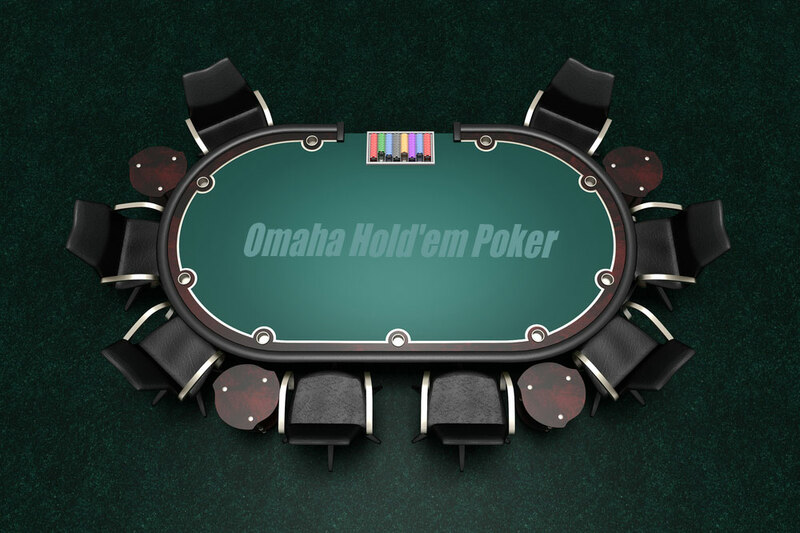 So, you may be wondering what exactly are the Omaha Holdem Rules? Well quite simply, just like Texas Holdem, there are four rounds of betting; but the major difference is that Omaha players are dealt four private cards, not the standard two as in Texas Holdem. The board is then dealt five community cards which are laid face up. All players of Omaha then use the combination of exactly two of their private cards, alongside three of the boards community cards to make their best five-card poker hand. What may be an attractive hand in Texas Holdem, is not necessarily so in Omaha Holdem. Cards such as a pair of jacks, for example, are certainly tempting to newbies, but in Omaha they are likely to have significantly decreased value! It goes without saying that patience is most certainly a virtue for those wishing to master the Omaha Holdem strategy. Unfortunately, for those players that do make the transition from Texas Holdem to Omaha, the potential for making mistakes is often huge in the first few games, but shouldn’t detract from the many benefits this game has to offer. Thrilling Game Play: Omaha is a fast action poker variation which captures the attentions of ardent poker fans and demands a better grade of player and skill set. Further Hand Opportunity: Omaha offers a wider range of hands that can be made, as opposed to Texas Holdem. Better positioning: Omaha gives players a better chance of controlling the size of the pot. It also allows players to follow their opponent’s actions, thus making better decisions when acting upon this information. Variations: Just as Texas Holdem has its variations, so too does Omaha Holdem Poker. With three types of games including Fixed Limit, No Limit and the popular Pot Limit, players are assured of game choice. It is said that Omaha is an easier game to bluff! Whether this is true or not, it will only work to a player’s advantage if they are willing to learn as much background information about the game, before real money play, as they possibly can. This way, they can pick up the more difficult aspects, or indeed aspects that vary greatly from Texas Holdem, and learn for themselves what makes the game that little bit more action packed than usual Holdem games. It makes complete sense that many players turn to Omaha Holdem poker through their Texas Holdem experience. After all, the two share some similarities, alongside some interesting differences. However, rather than pitting these games against one another, perhaps it’s best to marvel in this king and queen of Holdem side by side and enjoy them both for their variety. Having a sound grounding in Texas Holdem is definitely one of the best ways to begin the transition into Omaha; and true Texas Holdem fans certainly won’t offend the king of poker by joining forces with this increasingly popular queen of poker!